Behnam Nabet, ’15 PhD, who just completed his doctorate in the Driskill Graduate Program in Life Sciences, studied how mutated Ras genes turn normal cells into cancer cells in a new publication. 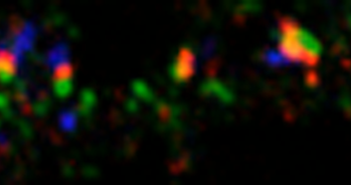 Northwestern Medicine scientist Jeffrey Savas, PhD, and colleagues identified a receptor that sorts proteins in synapses, a finding that may augment future treatments for multiple neurological diseases and disorders. A new technology called “Sticky-flares” developed by nanomedicine scientists offers the first real-time method to track and observe the dynamics of RNA distribution as it is transported inside living cells. Two Northwestern Medicine studies help explain how components of the cytoskeleton called intermediate filaments move and assemble to protect cells. A Northwestern Medicine study has uncovered a signaling process that regulates the inflammation that damages organs in autoimmune diseases. Studying patients with a rare form of dementia called primary progressive aphasia has given scientists a new understanding of the way the brain comprehends language. In two recent studies, the lab of Ramille Shah, PhD, assistant professor in Surgery, developed new methods to create viable biomaterials for 3-D printing, expanding the tools available to scientists to build a vast array of functional artificial tissues and organs. 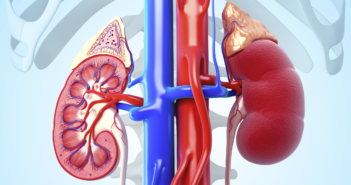 A new study reveals the biochemical mechanisms underlying kidney hypertrophy. The findings were published in a paper coauthored by Eric G. Neilson, MD, vice president for Medical Affairs and Lewis Landsberg Dean.